Just in time for almost incipient cycling season we have gained us a new sport and bike glasses. After looking into the item to Cycling glasses test have already dealt with the requirements for a good eyewear, it was easy for us to apply the criteria when choosing new glasses. The focus Alpina Tri-Effect wheel, sports and outdoor glasses stands. 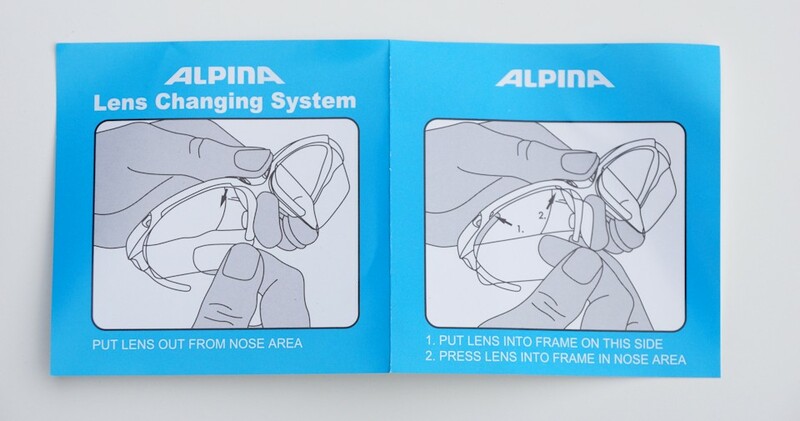 The Alpina bike goggles supplied in a small carton, ordered, we have sports glasses in an online eyewear business. Unlike Amazon, we have been waiting for 5 days at the delivery. 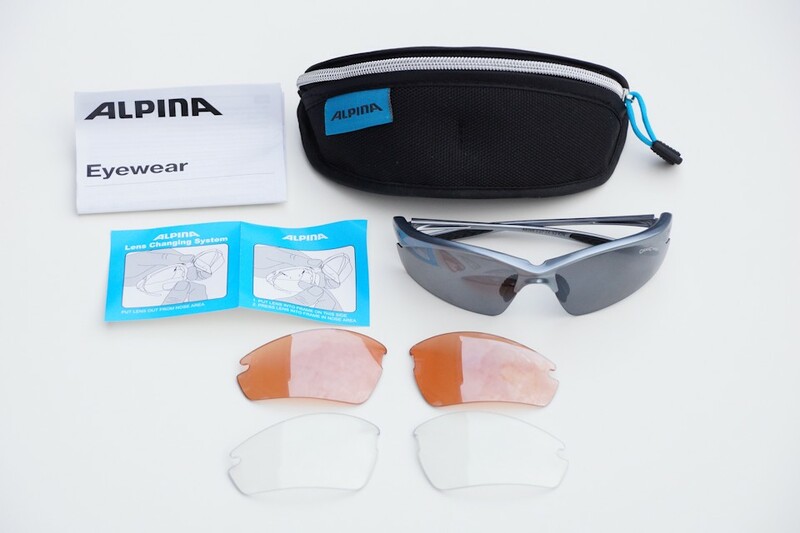 Included is the cycling spectacle itself, a case, the extra lenses, a lens cloth and instructions for replacing the lenses. It thereby 2 alternating pairs are included. Total 3 couples were lenses part of the total delivery. Clear lenses, dark glasses and already used in the glasses, orange glasses. The glasses come with three different pairs glasses delivered, each pair has a different case strong tint. The black glasses have the S3 category, the orange lenses provide good contrast and tint with the category S1. Clear lenses (Category S0) are purely protective glasses against insects, pollen, animals and wind. The two-component design is intended to form a combination of a hard frame and soft material. In spite of the spectacle appears quite rigid and you could get the impression that it breaks quickly (however, this has not happened). 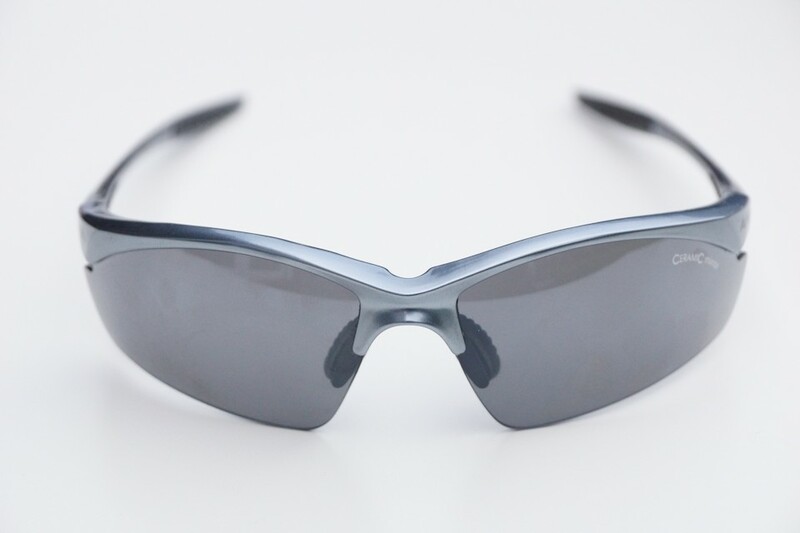 The eyewear fits tightly on the head and does not lose the grip even during fast movements. see Problem-down is also possible without the glasses changed its seat. The glasses are more suitable for small heads. The frame is made of plastic, injection noses are nowhere, processing a quality image. The glasses make a good impression on delivery. Scratches are quite visible, whether that is now faster than other models and manufacturers, is safe to assess with a laboratory test. The pretty impressive, low weight can hardly feel a glasses. With only 20 g (incl. Glasses), the sports and outdoor spectacle is a real lightweight. In our first attempt to remove the glasses use to other glasses, we had some fear to destroy the glasses. If you have the principle understood behind the frame and the glass, the exchange of different lenses at the Alpina Tri-Effect is simple. Thus, the tubes can be easily solved, you have a page in the middle of the frame touch (nasal area) and with the press, the ironing side slightly upward. The glasses can now downwards, are pushed out from the middle of the spectacle. It is in the pocket to a normal case with a zipper. 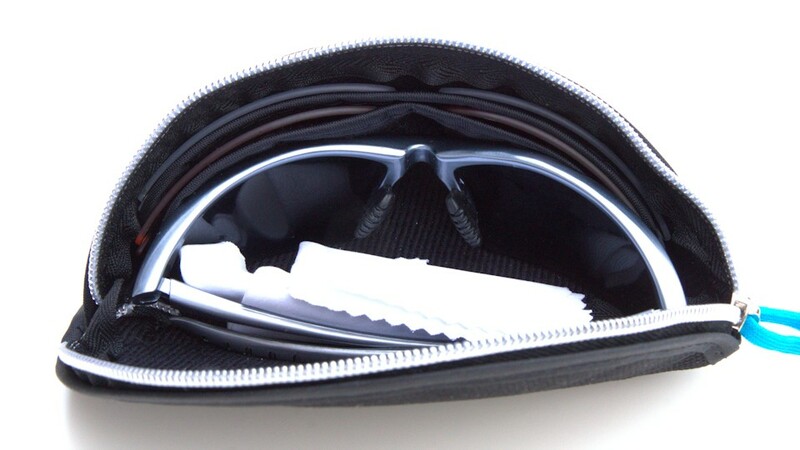 The difference to other Brillenetuis are the extra small pockets for extra lenses. The bag offers not only room for the sports spectacle itself. The glasses are protected in the case against external influences. The glasses are very light, so that scores the Alpina model. Our alternative of Uvex weighs 27 g. On a narrow head should the glasses without pressing sitting. For wide heads the glasses may be too narrow. Is the principle understood a change of glasses is simple. The case is a good place for keeping glasses and extra lenses. Importantly, the comfort and the fit is to be regarded always subjective. As with a bicycle helmet , you have to have worn the glasses again. Only one can decide for themselves whether the fit suits one.